When we heard that there was going to be a Dreamworks run, we could not wait to sign up for it. Who would not want to run with Shrek, Kungfu Panda, Toothless and Alex the lion. The day of the Dreamworks run arrived on a warm, summer day. Arriving at the site of the running event was a bit of nightmare as Tanjong Rhu Road leading to Gardens by the Bay – East was originally narrow and the road was made narrower with the long stretch of on-going construction. Despite it being a Saturday, the traffic was slow and the journey getting to our destination was fraying on my nerves because it took twice as long as it normally would. We arrived just in time for our 5km run kick off. My companion and I followed the crowd and before we know it, we were almost at the starting line. A crowd cheered and we spotted Kungfu Panda. Sadly, he was the only character we spotted that day. Still we count our lucky stars that we were able to squeeze in a quick photo with the master warrior. It was a very hot day. Unlike most of the running events that we participated in, where the runners were geared off to start running, most of the runners walked the miles. Even my daughter broke into a half-hearted run. It was just too hot to run. Music distracted her from the heat. But only for a moment. Our attempt to run eventually slowed to a stroll as we started to chat about all sorts of things: studies, friendships, girls in school, basic girl talk. In my head, I thank the Universe for blessing me with a daughter, and one whom I enjoy spending time with. I was reminded again how cheerful and patient my daughter was in a society that rewards speed and achievements. It was nice to stroll down the park and just laugh and chat, just like girlfriends. And it struck me that my girl was slowly, but surely entering womanhood. Just as we pass the 2km mark, there was the water play area. My playful girl could never resist a waterpark and I was in no mood to stop her. Finally, we saw the water stand and gulp down several cups of water before moving on. We were disappointed that it was only plain water. We took more pictures and wefies at the Dreamworks Run than at any of the running events. The skyline of the Marina Bay made for lovely backdrop. And if you catch the light before the sun sets and the light fade, you just might capture some lovely shots. So I am going to let the next few photos do the talking in post. Our lingering into twilight was rewarded with the sight of the Singapore flag and fighter planes as they rehearsed for the National Day celebrations in August. Post running events were in full swing when we returned to the starting pit. Runners and their families could stay and watch the Dreamworks movies at the open-air “cinema”, grab a bite to recharge their energies or play games at the numerous game stalls. You can even redeem prizes with your winnings from the games Only tokens were used as currencies. At the end of the day, we went home with a cap and a medal. And lovely memories of another bonding activity done with my girl. Disclaimer: This run was sponsored by the organizer who in no way influenced the opinions and stories. These are the copyright of the author. Connect with us on Facebook, Twitter, and Instagram and share your favourite running experience with us. DIY VIDEO: How to make Fluffy Slime at home! 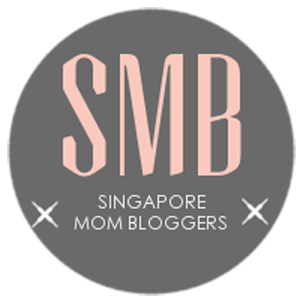 DreamWorks Day Fun Run & Carnival in Singapore! Action Speaks Louder Than Words – Zero-Waste Run!